So, I just finished Portal 2. Spoilers below, but to start with, here’s a picture of Chell. She looks better than she did in Portal. Maybe it’s just that she’s had a chance for a good rest. It’s surprisingly hard to get a good view of her in the sequel. All it takes is a well-lit corner, but portalable surfaces are scanty. The elements are, like the portal gun itself, a blast to play with. One of my favorites are the hard light bridges… which of course cooperate with portals, allowing you to create walkways or barriers. A later variation, the moving tube, is also fun. Don't you want to just walk out on that? Then there’s the paint. Blue and orange paint are fine, but they don’t harmonize entirely with the game (IIRC they come from another game.) The one thing they do with portals, as with the flinging devices, is to take a good deal of the guesswork out of flinging yourself. 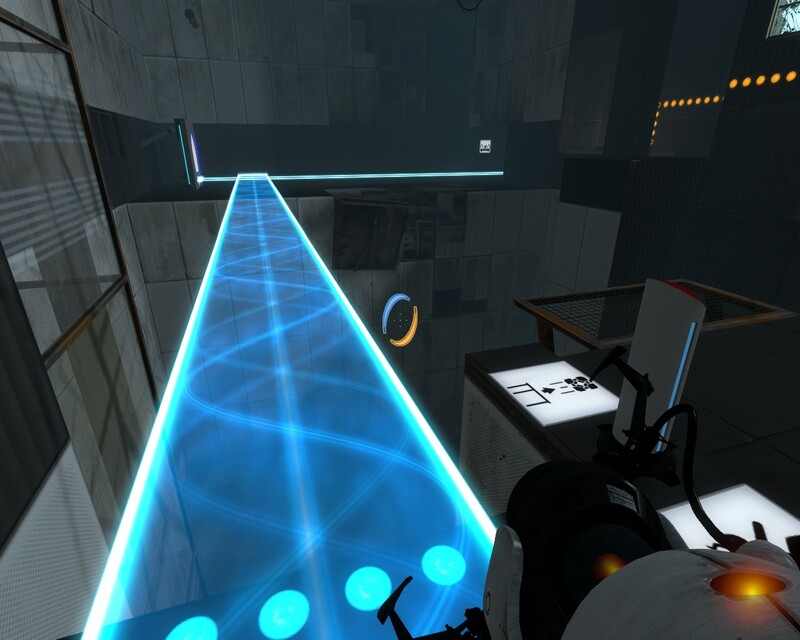 There’s a lot less fiddling with timing, precise portal placement, and portal placement during a fling; I suspect those aspects of Portal 1 didn’t playtest as well. But white paint is great, as it creates new portal surfaces. There’s a room where you’re trapped in a smallish room with a white paint dispenser… it looks for a minute like there’s no way out. But wait! You can throw the paint around, using the portals! I spent a fair amount of time doing just that, seeing how much of the room I could paint, before going where I needed to go. They’ve spent a lot of time on the story. 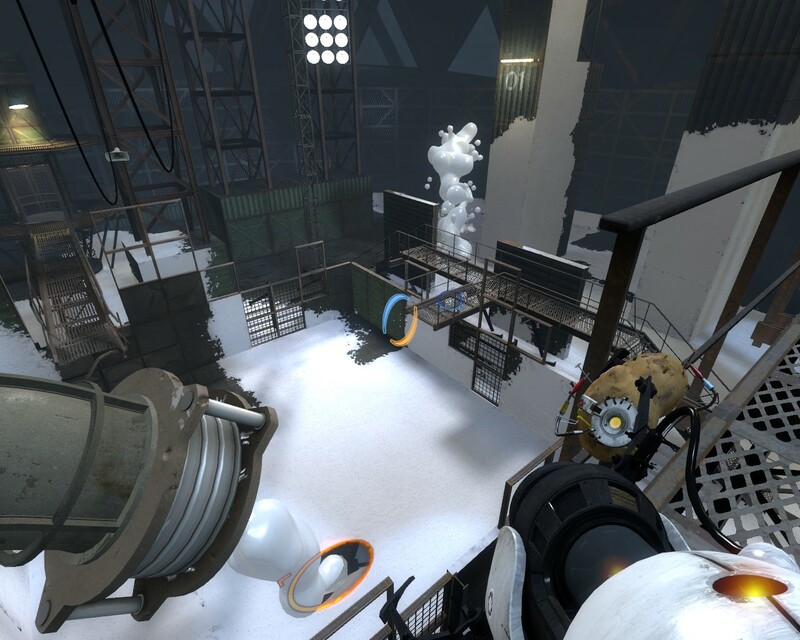 We even learn that the Aperture facility is in Upper Michigan and is a former salt mine; and we learn a lot about Aperture’s early CEO, Cave Johnson, a man whose enthusiasm for dangerous science survives in GlaDOS. Wheatley is a brilliant addition, and there are some hilarious bits… my favorites are the reject turrets, and then Wheatley’s mutant cube-turrets. 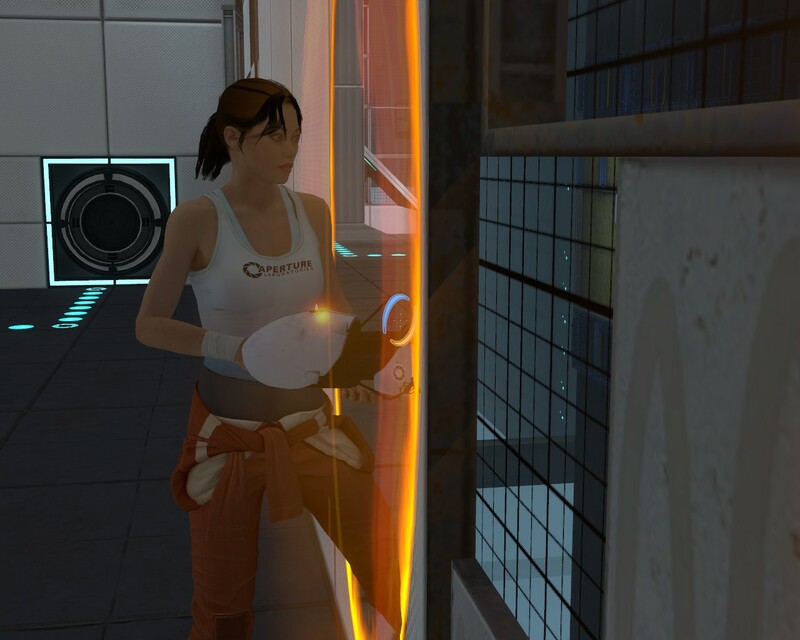 It looks like Chell actually escapes this time, though it kind of looks like she doesn’t take the portal gun with her. Too bad; I’d love the sequel to be using the portal gun in whatever post-apocalyptic wasteland she finds herself in. (Though I guess that would require them to finish Half-Life 2 Ep 3 so there’s an idea what kind of world that is.) The tests are fun, but my favorite parts of both games are when Chell is wandering round the inscrutable innards of Aperture, in effect creating her own challenges. I was replaying Half-Life 2 the other day, taking a break from Portal, and it’s interesting that HL2 looks a little mundane in comparison. It’s all very well done, but you can tell that they’re re-using textures like crazy, and carefully limiting visibility. 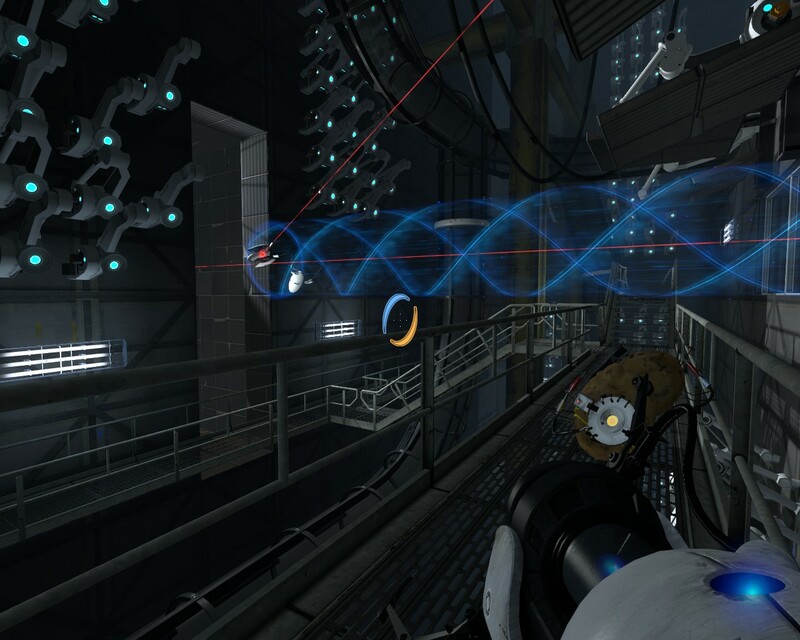 Portal 2 definitely has the most amazing visuals yet in a Valve game. A cute bit: In the first half of the game, the post-test elevators always go down, neatly symbolizing that you’re getting deeper into trouble. For the second half, they go up.